I watched the video, loved it, made the pizza and we really enjoyed eating it. 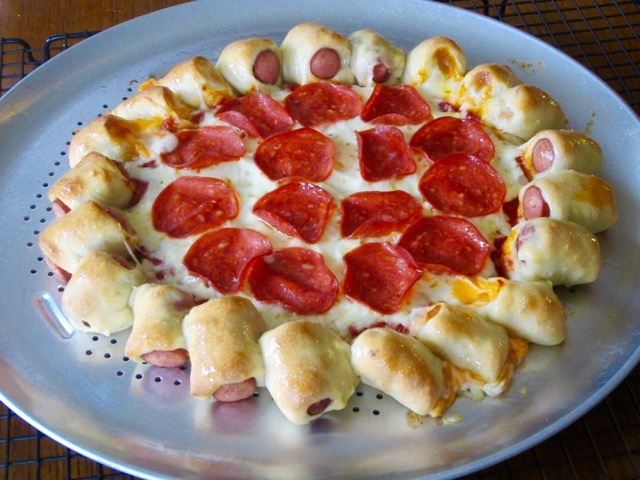 If you want to make this pizza please watch the video from Crouton Cracker Jacks attached at the end of the page. I wish you a very happy and fulfilling weekend! 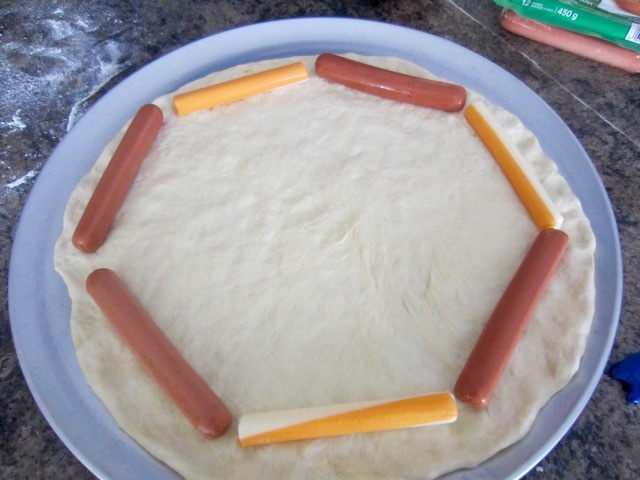 Roll or stretch the pizza to 16 inch circle and arrange the cheese and or hotdogs leaving a boarder. 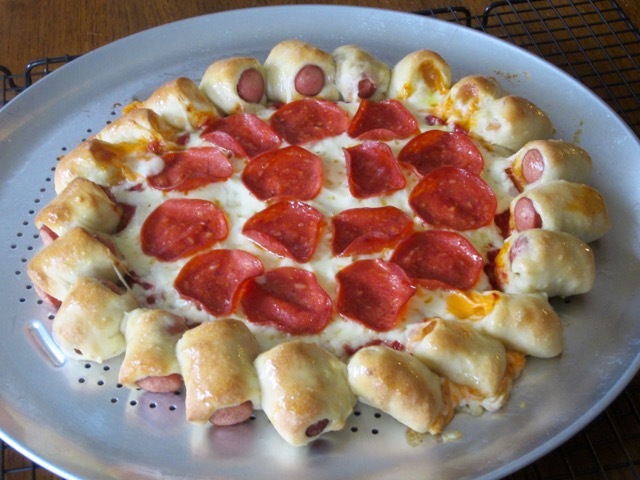 I used cheese and hotdog. 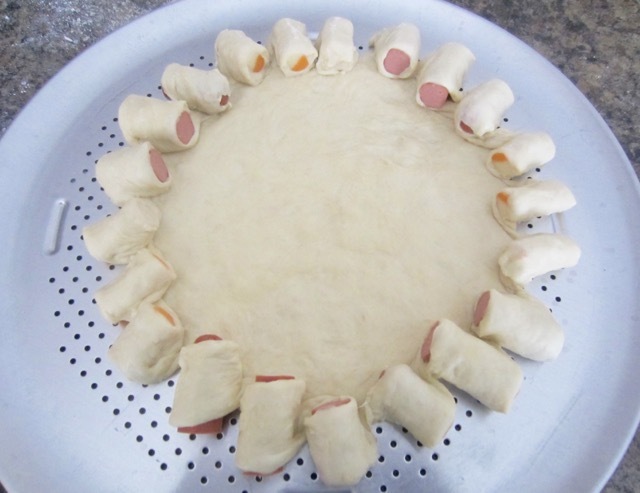 Preheat the oven to 475ºF (245ºC) ten minutes before using. 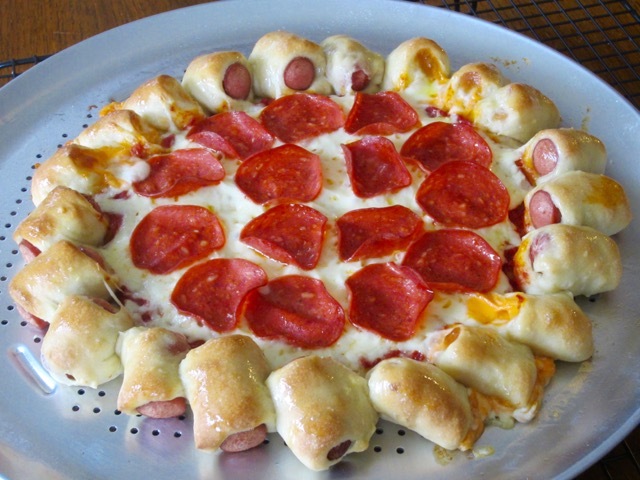 You will need a 16-inch pizza tray. 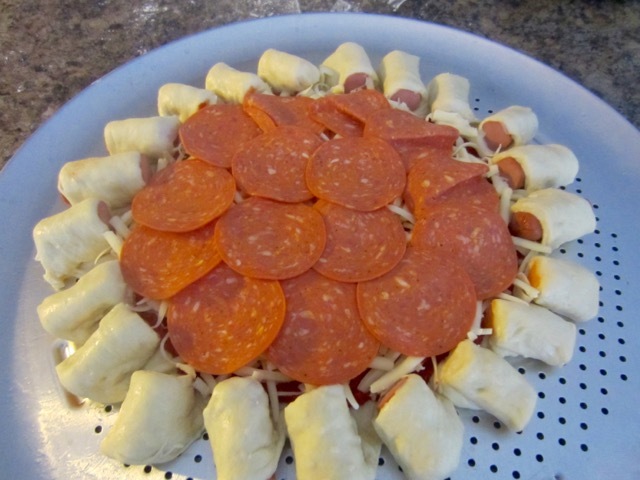 Follow instructions on the video then bake the pizza 12-13 minutes or until golden brown and the cheese is bubbly on top. We thoroughly enjoyed our pizza, thanks to Crouton Crackerjacks. Please note that oven temperatures are given as a guideline only. You may need to add or reduce the suggested temperature depending on your oven. 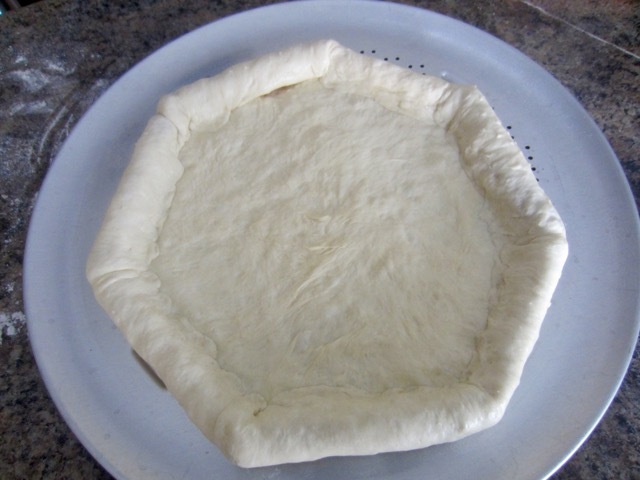 I baked the pizza at 475ºF (245ºC) for 15 minutes. Prev What is Asian Pear? Next What is Bergamot Orange? Hello. How have you been? 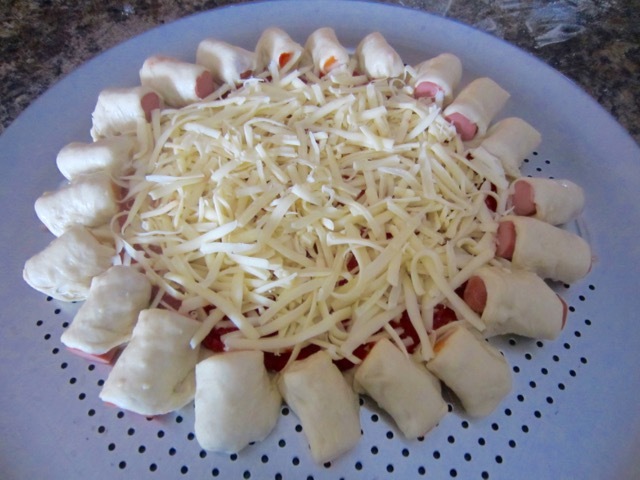 This is a wonderful idea, but I think I would try this with the string cheese only. Have a great weekend and hope to read more of your posts. Did you try it? 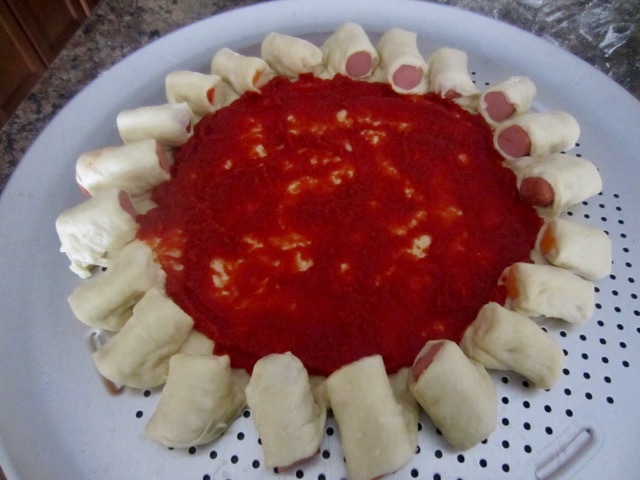 It’s super easy to make!